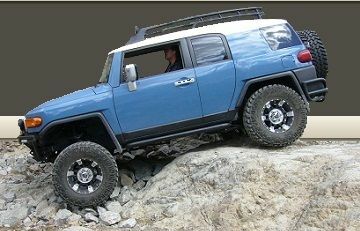 AZFJ › Forums › Technical Discussion › 4x4 Tech › Lower control arm frame tab sheared...Any shops suggested. Forums › Technical Discussion › 4x4 Tech › Lower control arm frame tab sheared...Any shops suggested. Lower control arm frame tab sheared...Any shops suggested. 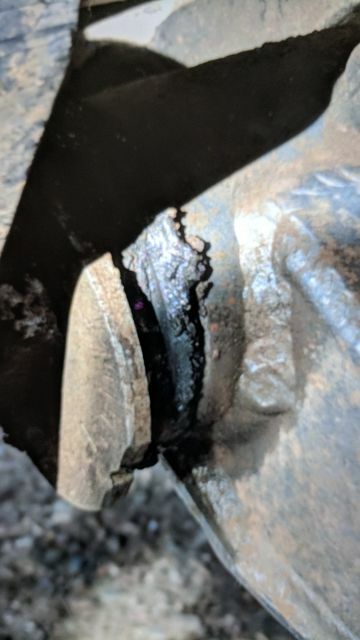 Posted: Tue Feb 05, 2019 11:22 am Post subject: Lower control arm frame tab sheared...Any shops suggested. Hit a deer, smashed up my fog light etc and just thought alignment was out. Some editing to make issue clear now: the front tab on the frame holding the lower comtrol arm is sheared so it cant be aligned. Thoughts? Hit a deer, smashed up my fog light etc and just thought alignment was out. Took it in to get done but just got called the camber/caster adjustment valley was broken and Id need to get in contact with a body shop or frame shop. Any suggestions or ideas? Worth going through insurance you guys think? Not sure exactly what the "camber/caster adjustment valley" is (probably more my ignorance than anything) but if it's what I think it is, you may just need some alignment tabs AKA "Lower Control Arm CAM Tab Gussets"
IMO not worth the ding on the insurance, unless you are already filing a claim for the hit, then may as well include it. So now that I've seen it it appears to be the front tab on the frame holding the LC arm....not sure can know what kind of welding it needs till pulled but been driving for a week and seems ok so far :/. Just cant adjust alignment till fixed. Did some research and you nailed what I was trying to get at. Hah, thanks a lot for the help! Happy I could be of assistance. Remember... Your unique just like everyone else"